My husband and I rarely get sick with the common cold or flu. 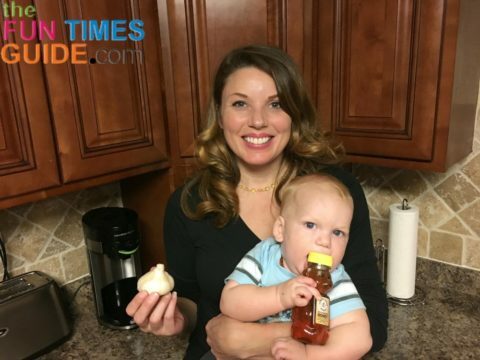 We attribute that to the fact that we use the following garlic and honey cold remedy any time we start to feel under the weather. In fact, I can count only a couple of times within the last 5 years that we’ve had a cold or the flu since I discovered this simple, natural, and safe cold remedy. It happened about 1 year ago. A family member came to help us with some DIY home improvement projects. Not only did he bring his knowledge, skills, and tools — but he also brought with him the beginning of a full blown flu/head cold. We didn’t think anything of it while he was here. But he actually ended up cutting his visit short due to the fast progression of flu symptoms taking a toll on him. Even though we wiped everything down with disinfectant after he left, hubby and I immediately started feeling the aches and pains ourselves. We had spent the most time together at the peak of his contagion — by then it was too late to use our trusted garlic & honey remedy, and we had to let the bug run its course. The only other time I can recall being sick and using Tele-Doc to order a Z-pack was about 4 years ago. I found the following immune defense home remedy several years ago after reading an article on the healing properties of garlic — and I decided to give it a try. From that point on, my family has turned to the garlic & honey recipe (below) every single time to avoid common colds and/or the flu. If you do an Internet search on the healing properties of garlic, you too will discover that it has been used for centuries to treat ailments. Garlic is a natural antibiotic. I was most interested in the natural antibiotic make-up and an alternative to killing only the bad bacteria while preserving the good bacteria in our bodies. Pharmaceutical antibiotic use generally kills all bacteria, good and bad alike — which destroys gut flora, forcing a mad scramble to restore balance. Although prescribed antibiotics definitely serve a purpose, they can wreak havoc on your immune system if overused. 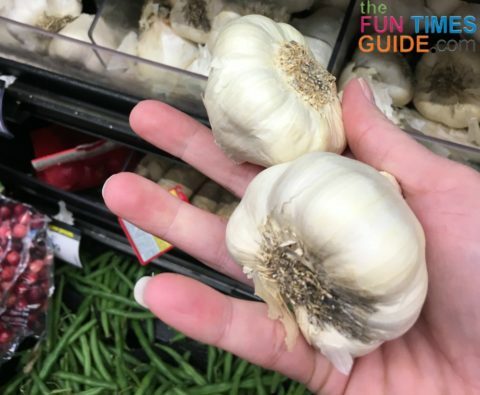 #1 – Buy some fresh garlic cloves. 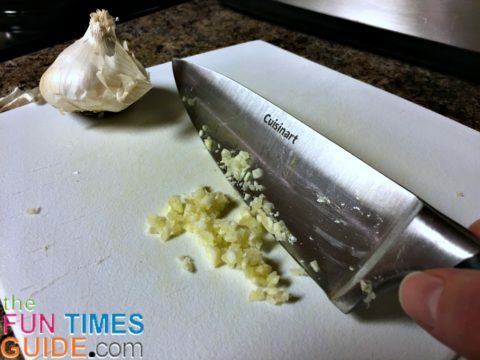 #3 – Place the chopped garlic on a spoon — and let the crushed garlic sit for 10 minutes to activate the Allicin. #4 – Drizzle the chopped garlic with local honey (optional, for taste). #5 – Put the spoon of chopped garlic into your mouth, place it on your tongue and swallow it down with water or orange juice (I like orange juice for the extra boost of Vitamin C) — it’s just like swallowing vitamins! After you get a good night’s sleep, you will wake up feeling great! My husband and I are diligent to use this home remedy at the very first sign of a cold or flu, whenever we have that “run down” feeling, or if we ever need extra defense (like if there is a bug going around at my husband’s work). Of course, this cold remedy will not be as effective if you are already sick and suffering with full blown symptoms. Disinfect your work station regularly. Wash your hands regularly — especially after shaking someone’s hand. Here are some more facts about the healing properties of garlic and Allicin.